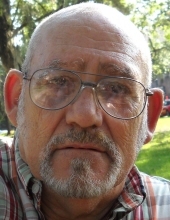 Gerald G. “Dicky” Johnson, 78, of Charleston passed away January 13, 2019 after a long illness. He was a U.S. Army Veteran, retired from Thomas Memorial Hospital and the State of West Virginia, as a printer. Preceding him in death were his wife, Francis Johnson; parents, Tom and Nina Johnson; sister, Teresa Litton and brother Larry Johnson. Dicky is survived by Seven Children; 23 Grandchildren, 34 Great Grandchildren and Two Great Great Grandchildren. Funeral Services will be 1:00 PM Thursday, January 17, 2019 at Cunningham-Parker-Johnson Funeral Home with Rev. William K. Berry officiating. Burial will follow in Floral Hills Garden of Memories, Pocatalico. Visitation with the family will be from 6 to 8 PM Wednesday, also at the Funeral Home. Cunningham-Parker-Johnson Funeral Home is serving the Johnson Family. To send flowers or a remembrance gift to the family of Gerald G. "Dicky" Johnson, please visit our Tribute Store. "Email Address" would like to share the life celebration of Gerald G. "Dicky" Johnson. Click on the "link" to go to share a favorite memory or leave a condolence message for the family.